Manafort Archives | Rich TAkes! The big Special Prosecutor news this week is that Mueller got a Grand Jury Indictment against Paul Manafort with twelve charges. Most dedicated liberal socialists are jumping for joy. Jumping up and down and clapping can be good exercise for your heart-rate and general well-being, but don’t get too excited just yet. 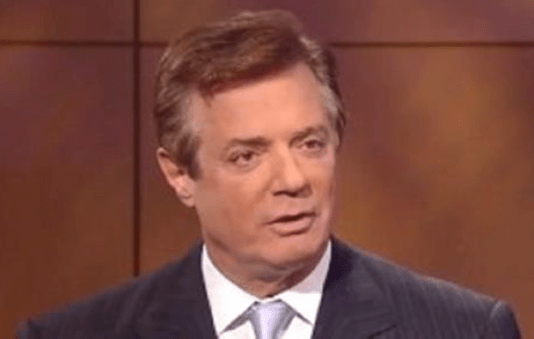 Here’s an interesting opinion on the legality of the Manafort Indictment, wading through the weeds. Odds are 50-50 that the whole thing gets tossed. I don’t know what you consider technicalities. I’m glad you asked. Irregardless of Mueller’s authority, the money laundering beef should be tossed immediately, since money-laundering only applies to ill-gotten criminal monies, like drug dealers or arms dealers. In other words, the money which was “laundered” was obtained illegally to begin with. I’m pretty sure that no one will claim that performing political consulting services is illegal. Especially since the Podesta Group, another political consulting firm started by John and Tony Podesta were performing the exact same services for the exact same client. In fact, Manafort and the Podesta’s were in consultation with each other while advising the Ukrainian client, who happened to be a Russian stooge. But hey, the money was really good. I noted many months ago that both Manafort and John Podesta filed a foreign agent form back-dated in the same week. And that seems to be another of the charges. You do remember that Podesta was Hillary’s campaign manager during her entire campaign, and also served in the Clinton White House as Chief of Staff don’t you? It should be telling that the Podesta’s resigned from their own consulting group, and a name change will coming soon, if it hasn’t already. The “Conspiracy Against the United States” charge is completely trumped up. That charge has only been brought 6 times from what I’ve read, with only one conviction. The larger issue is with the Special Prosecutor, which if anyone had actually read the piece above, is whether Mueller even has jurisdiction to advance the charges in the Grand Jury Indictment. None of Mueller’s charges mention the Russian government or the Trump campaign. In fact, the latest date of the Mueller charges were before Trump (or anyone, for that matter) declared that he was running for President. And all simply point to Manafort’s consulting with Ukrainians, exactly as the Podesta Group was doing at the same time.